The principle of solar cells is the photovoltaic effect of the semiconductor PN junction. The so-called photovoltaic effect is an effect of the electromotive force and current generated when the object is exposed to light and the state of charge Distribution in the object changes. In the model, the circuit connection between the two panels and the motor is a parallel circuit. 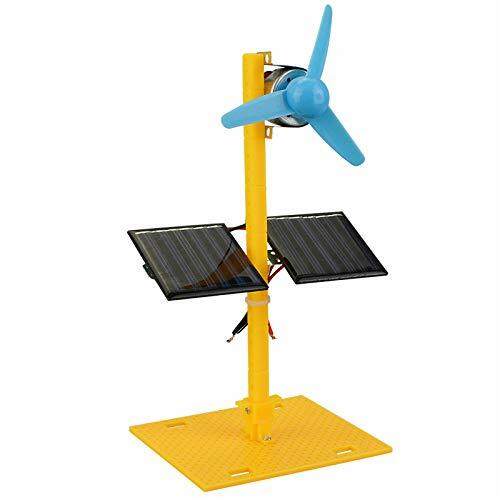 When the solar panel is facing the sunlight, current can be generated, and the fan rotates. When the sunlight on the solar cell is blocked, the fan Stops rotating.